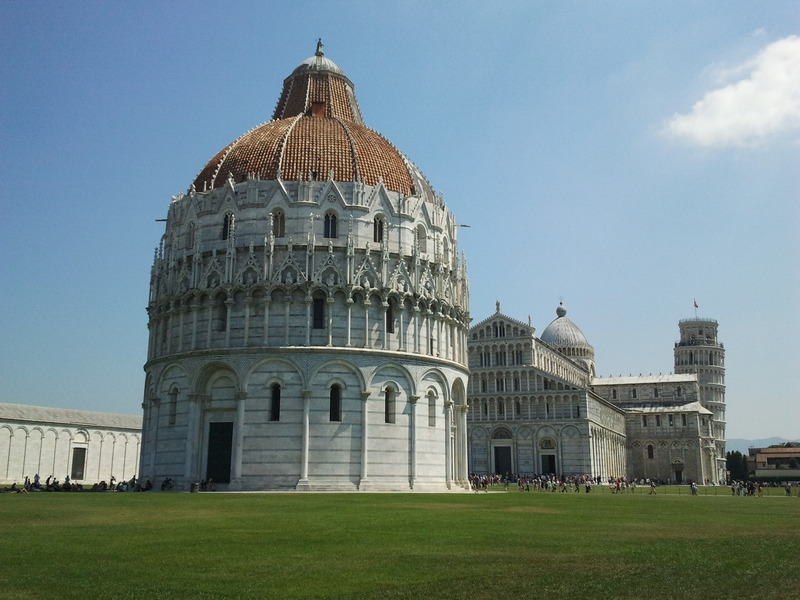 This was one of my dreams for places to visit even from when I was still living in Indonesia, the leaning tower of Pisa. This is one of the most famous holiday destinations in Italy that everyone would visit when they are in Italy. It’s called Piazza dei Miracoli in original Italian language but we can translate it as Miracles Square or Square of Miracles. It is located in Pisa, Tuscany, which is definitely one of the most beautiful regions Italy has. This square consists of the worldwide famous leaning tower, Pisa Cathedral, The Baptistery, Camposanto Monumentale (Monumental Cemetery), and The Ospedale Nuovo di Santo Spirito (New Hospital of Holy Spirit). The Square of Duomo that includes the first four lists I just mentioned in Miracles Square has been declared as the world heritage site of UNESCO since 1987 for its beauty, history, and architectural masterpieces.